Football, the new great American past time. Don’t believe, just turn on your TV or go online. There’s never a day where it isn’t being covered by every sports outlet in the country. Even the digital world can’t get enough of their hard-hitting, touchdown-scoring, pass-catching football. While Madden is still clearly the king of the gridiron, more and more developers want in on the action. 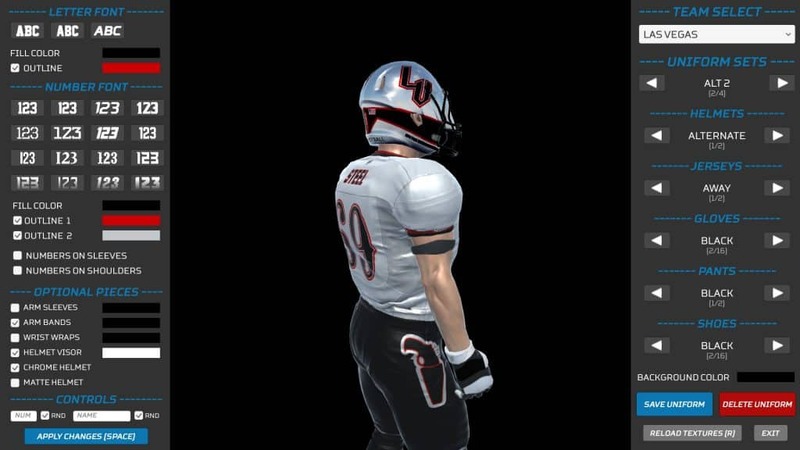 What started as a simple flash game has grown to become so much more as the developers at Axis Games look to make the franchise one to be reckoned with in the world of football gaming. The game doesn’t feature any sort of official license, but that doesn’t stop players from enjoying an NFL experience if they want. Axis 17 offers one of the best uniform editing platforms. It’s modder friendly, and includes PSD files to edit should you want to either edit or create your own teams. When it comes to modes, Axis 17 isn’t loaded with all of the bells and whistles. There is an exhibition mode that allows you to play in a against the CPU, a friend or as a coach, but the real bread and butter comes from the game’s franchise mode. 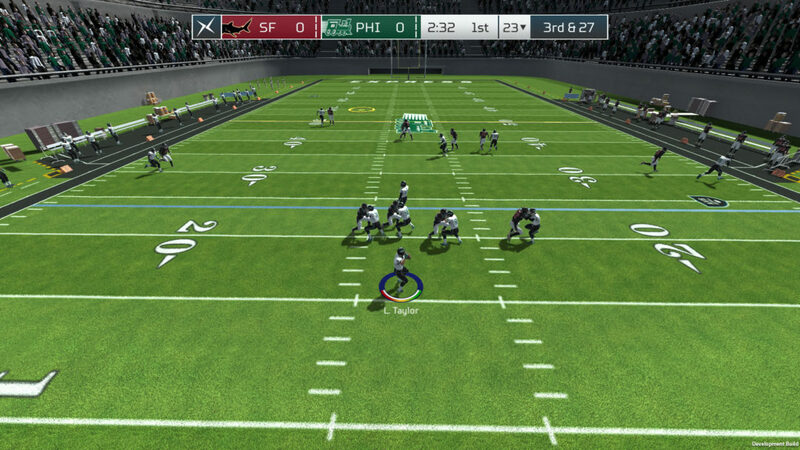 Axis Games prides itself on giving players a fully featured and deep franchise mode. It’s been their focus since day one, and that shows with what is offered in this year’s version of the mode. Players are able to play through multiple seasons, track a variety of stats and take part in end of year player drafts. Unfortunately, features like player trades, salary cap and contracts, schemes and free agency aren’t a part of franchise, taking away from the replay value of the mode. There also is in issue with stat tracking while simulating your season, though a patch appears to be on its way. There is no online play this year, but Axis Games defends it by focusing on what players can do locally before even considering adding online functionality. Now, if you played any of Axis 16 or even 15, you’ll know that the player models weren’t all that spectacular. It was the developers could do with the budget, but that’s all changed this year. There’s a brand new player model that instantly makes the game look like more than a mobile game that was ported to PC. It finally looks like a game made for PC. Even the atmosphere has been improved with the addition of two new 3D stadiums to play in. It’s not there with what you might expect from a current-gen release, but it’s a nice foundation to continue building on. Speaking of atmosphere, there’s also an addition of a voice that many fans have missed calling football action. 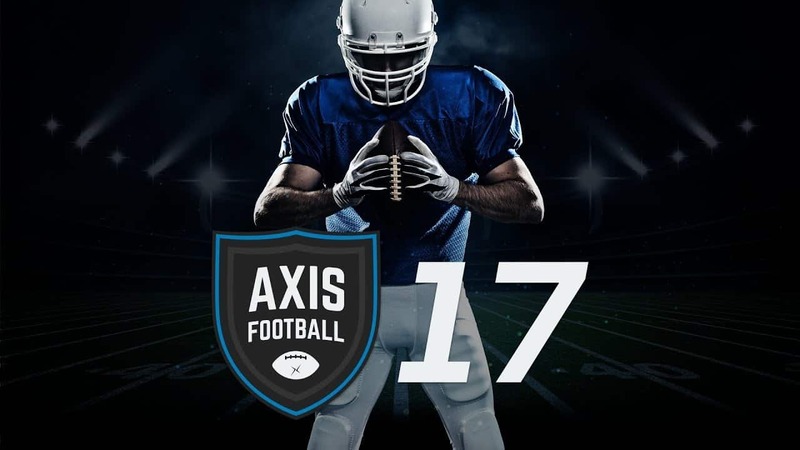 Dan Stevens, the voice of NFL 2k, is back with Axis Football. There’s some audio stringing issues, but it’s nice touch to add to the realism of the games presentation alongside the new in-game stat overlays, user interface updates, and 1st and 10 graphics. On the field the game primarily brings back the same engine as it’s had, with some pretty nice changes. There’s a bunch of new animations, plays to choose from and the aforementioned player model. The game seems to be far more geared to the offensive side of the ball as it’s a bit too easy to break off big plays and make defenders miss. The game also plays extremely fast with quick movements all across the field. From running to juking to tackling, everything is done as if it was in turbo mode even after your sprint meter has been depleted. The fast gameplay may be enjoyable for some, but it’s just a little too hectic for my liking. The game also completely lacks penalties. Instead of going offside, you can just run along the line of scrimmage until the ball is snapped, and there’s no delay of game, holding, pass interference, or roughing the passer. Nothing. There’s also no instant replay feature yet, which stinks if you want to go back and watch that epic kick return for a touchdown you just had. 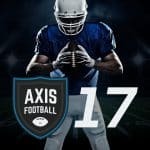 Overall, Axis Football 17 is an improvement over what fans got from Axis 16. And while the developers have been dropping hints about some major changes coming to the series with Axis 18 that could give off the vibe that this year’s game is a throwaway year, there are plenty of updates to justify a purchase if you’re a fan. It’s not going to make you completely forget about getting Madden this year, but Axis Football 17 does a solid job of giving PC football fans who’ve been yearning for a fun experience an option to pick up.